This storage facility has great customer service and a very clean store. This was my first time renting and Ambrosina was very polite and helped me with the right size unit and a good price. Thank you for such good customer service. I needed a storage real fast came across Ustorit in Melrose Park and was satisfied with I seen very clean ,customer service was great overall I'm happy with my choose. Great location would recommend low prices great service. I was looking around for storage walked in to Ustorit in Melrose Park and was very happy with what I saw very clean , great customer service , I felt safe leaving my things there they have great security over all I would recommend to anybody I had a great experience. Everyone knows how stressful moving can be and I was having a very hard day but as soon I walked in u-stor-it,I was greeted with a warm welcome and a SMILE. I was unsure on what size unit I initially wanted but Ambrosina took the time to show me each unit so I can see which one best suites me. She answered all my questions with no problems.I rented a unit with Ambrosina and she was extremely helpful. This is the type customer service every facility should have. Thank you Ambrosina for such a good experience. I will most definitely refer family and friends. The lady inside was nice and the security seemed A+. They had multiple keypads that you need to enter in order to get inside. I feel very secure leaving my stuff in here and the price can't be beat. I move alot since I'm in the military and I always have to get a storage for at least 6 months or so. This was by far the best one I've had so far. I had a metro storage before and then switched here and its so much better. Manager is Ambrosina thank you so much!! The store is right off the highway and easy for me to stop by coming from work. The staff is very nice and helps me get the job done! Very pleased with the storage service over here on North Ave in Melrose Park. Julio and his team really know what they are doing. Plenty of selection on boxes and supplies. I would do business there anytime. Recommend. Julio helped us rent my space today at ogden ave in lisle. We had a very great service with him at u-stor-it. good storage spaces. Sue was super friendly and totally went above and beyond. i highly recommend their storage! best in Melrose Park. Julio was very helpful. I would recommend this place. 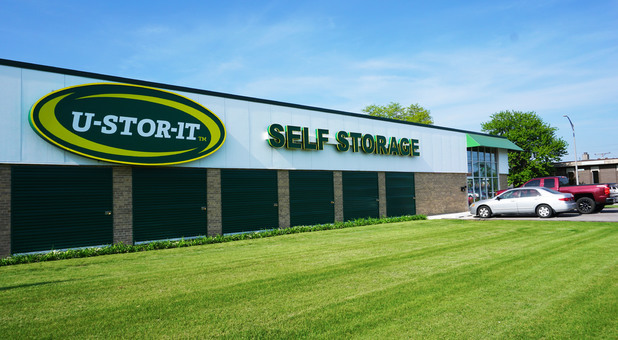 All your storage needs under one roof in Melrose Park! !Great storage facility!! I appreciate coming into a store and being greeted with a smile. Julio was professional, friendly, and very knowledgeable! Great service and friendly professional staff.